Rich and I have been looking for houses. (click here for the back story) Our favorite realtor has told us that we have looked exhaustively at every available home that fits our criteria. That's her polite way of saying "I shown you every damn house known to mankind, pick one and stop wasting my time!" I decided not to keep count after looking at 50 houses. Here's the thing Rich works long, long hours and when he's home all he wants to do is decompress. I can't blame him. So a house can be a fixer-upper but not too much of a fixer-upper. Neither one of us wants a new home. I'd like a Craftsman bungalow, Rich would prefer a Victorian but we'd both consider a Mid-Century Modern. Yeah, our tastes are all over the damn place. See what our favorite realtor has too deal with? We have seen our dream home. A beautiful Craftsman...big front porch, five inch thick wood mantle over the fireplace, original wood moldings, built-ins, breakfast nook, everything we want. It was just out of reach. Think of any action movie where the heroine is dangling off the cliff and the hero is yelling, "Grab my hand!" and the camera zooms in on the hands they are almost touching but not quite and both are struggling and stretching to reach that extra millimeter just so they can grab each other and live happily ever after? Yeah... that was us and the house but we ended up falling off the cliff. Just outta reach. We have seen houses stopped in mid life from foreclosure. Abandoned toys in the yard, bills strewn on the kitchen counter unopened because it really doesn't matter anymore. Houses people were living in that are so angry at what has happened to them there is graffiti on the walls, fixtures missing, angry gashes where fists met sheetrock. We have seen houses that have been empty for a year that the copper wiring was ripped out of the walls for money. We are very lucky to be able to buy a house but it's very emotional. I dread walking into a repo house. I feel like I am benefiting from their bad luck, it's like walking into a war zone sometimes. You can feel the remnants of anger floating around like a ghost. This isn't really where I wanted to take this post. I wanted to talk about when I see these homes, I always can envision my kitchen. Kind of country, kind of modern, kind of Martha Stewart meets Ina Garten... all me. Floating shelves so you can see all my Fiestaware. Glass storage jars always at the ready with flour and sugar. A skylight in my kitchen so I have an abundance of light. Terracotta pots with little bits of moss flecked on the sides filled with rosemary, cilantro, and basil waiting for me to pick. And the most important thing of all a permanent place to put a cake stand. Not a fussy or fancy cake stand. A cake stand that screams me. A cake stand that will feel at ease no matter what I put on it whether it be a fresh loaf of bread, warm cookies or a cake. It has to do many things this cake stand. I have high hopes in finding one just as much as I have high hopes in finding a home and kitchen to put my cake stand in. Preheat oven to 350°F with rack in middle. Generously butter a 9- by 2-inch round cake pan and line bottom with a round of parchment paper. 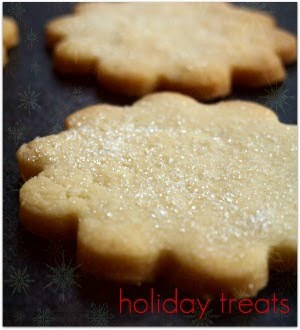 Beat together butter, granulated sugar, and zest with an electric mixer until fluffy. Beat in eggs 1 at a time. Stir together flour and 1/2 cup coconut (reserve remainder for topping). Stir together condensed milk and 2 Tbsp lime juice. At low speed, mix flour and milk mixtures into egg mixture alternately in batches, beginning and ending with flour. 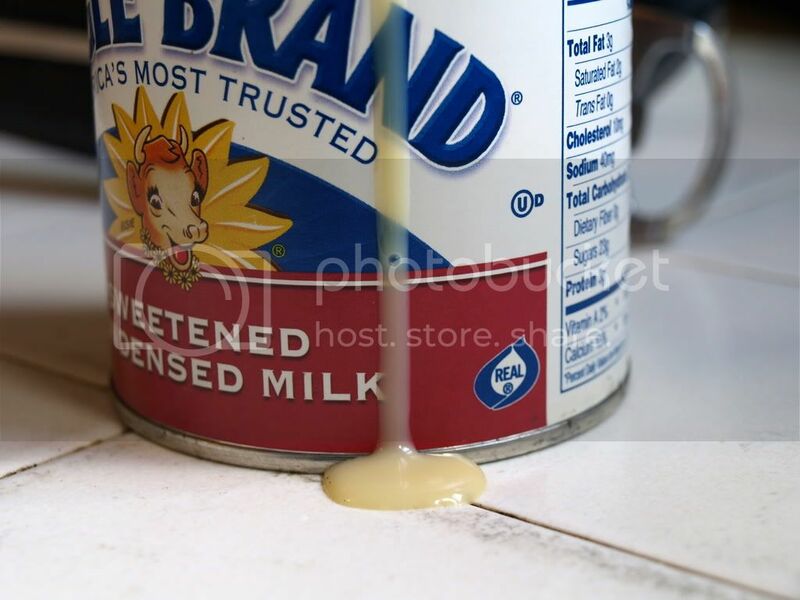 Pour remaining sweetened condensed milk into top of double-boiler pan and stir in a pinch of kosher salt into the milk; cover. Place over boiling water. Turn heat to low and stir occasionally, for 40 to 50 minutes. Until thick and lightly caramel-colored. To serve: I spooned a tablespoon of still warm dulce de leche onto the plate. 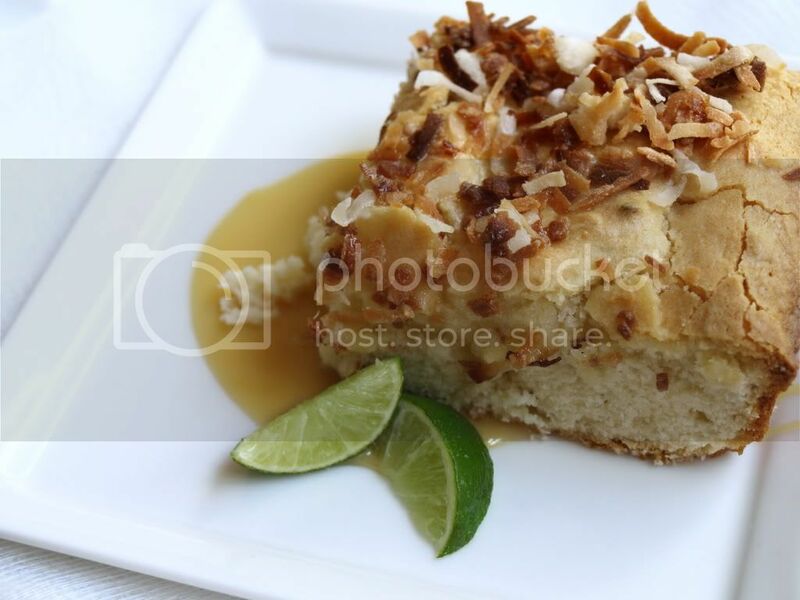 Then place a slice of the key lime coconut cake atop the dulce de leche. Tasting Notes: The recipe calls for a 3/4 cup of whole milk but because I ran out of milk and wasn't for the life of me going to the store. I decided to do this instead. The texture was more like a pound cake. As for the taste this cake was gone in a couple hours, I kid you not! Sunny, bright, and coco-nutty. It's a cake that promises you warmer weather is coming. Maybe even a house if I play my cards right. Really, really, REALLY good post! I agree with Catherine. You really brought to life what those house, and those people, must have felt like. It's terrible. But don't feel badly for being able to buy a house. Only feel badly if you start taking it for granted, which I can't even fathom you doing. I agree with Melissa, the house will find you, I know that might sound like a load of BS, but it will. Crossing my fingers for you both. That cake looks amazing. Coconut, lime AND dulce de leche, you are a woman after my own heart. I really enjoyed your post. Your stories are always so frank and matter of fact, but they always hit a nerve. And the cake looks great. And for all those reasons I am building. I'm tired of buying everyone else's vision...I have my own! Sounds like you do too. This cake would be perfect on your cake stand. Perfect post. Perfect cake. I haven't been by in a while and things that didn't even need improving at ECM have gotten better and better. Really, I'm loving the look, the writing everything! Good luck with the house hunt. We went through the same thing last year and now have a place we love. I'll bet the same will happen to you. Good luck with the house search! I'm loving the unexpected pairing of dulche de leche & key lime in this cake. Maybe it's expected to others, but I think it sounds exotic. I'm with you. I would love to find a mid-century modern or a 1930-1940's bungalow to do a mild remodel job, but I'm just not sure I have the energy any more to tackle such a task. Wait! Maybe I actually need a project like that to jump start my energy, if that's even possible. But, Mr. Snoots is like your hubby. He just wants to relax & let out some big sighs once he comes home, which does create a boggle of sorts, doesn't it? 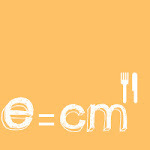 I'm working at getting my cooking blog up to snuff & have been putting a lot of effort into same. I joined foodbuzz, so I guess I'm off (my rocker) to a running start. Chosing a home is so hard. There was always a little something wrong with each one...or a big something wrong. We've been in our house for almost 15 years, so thank goodness, we've missed out on all the emotionally draining foreclosures. The houses...? I wondered. I had a feeling that's what it would be like. It's just so sad to think of people walking away with their dreams in the dust. I hope you find the perfect home for your cake plate. Something Ina Garten-ish! House hunting is way more emotionally taxing than even planning a wedding. And then, after all that time, all those houses toured, you're still required to give on certain "must haves." Hopefully that perfect kitchen, filled with great food and inspired little sous chefs, is out there just waiting for you to find it! re: that house you loved, did you make them an offer??? You've hit your stride, Krysta. Do you know that? You're in the zone. Keep the words coming. You know I love the recipes, but for me they will always be secondary to your stories and the bits of you we get with each one. House-hunting. Sigh. Best time of my life. Worst time of my life. Hang in there. I can see your kitchen and I can most definitely see your cake stand. I keep seeing this cake!! Yours is the first with dulce de leche. It looks awesome!! I don't love my kitchen, but I do love having a spot for a cake stand. Great post, I think a lot about what you described, the empty houses...it makes me sad. On the other hand, your description of your kitchen sounds perfect...and so does that cake!! I am going to probably dream about it...I really want a piece! I can't overstate how upsetting that last photo is. The sweet milk! It's running down the side! It's going to get stuck in the cracks! Lick! Lick! Lick! good luck in your house hunt!! Beutiful picture and this recipe has some of my favorite things! Looks delicious, great post! I make a Tres Leche Cake with coconut milk...mmmmm! If I tried that it would look like poo.